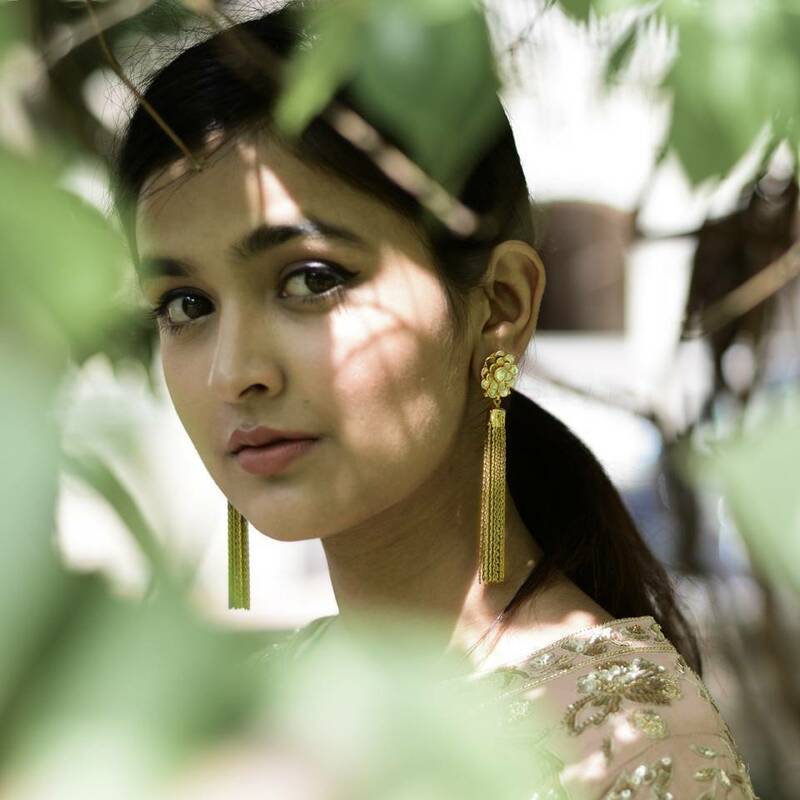 Lay your hands on these exquisite pearl drop earrings and other pretty things made in precious stones by Divya Chugh, a jewellery designer based in Delhi. Her ethno modern jewellery will add the perfect touch to your outfit. With a huge collection to choose from, there is no one way to style her jewellery right. You can opt for this hand harness to give an interesting take on the lehenga choli or this matha tika for a more traditional look. Nothing spells “special” more than custom made name necklaces in the language of your choice. You can get your name or a personal message carved on metal at her store. Accentuate an ethnic Anarkali or offset a heavy lehenga with these light chand balis. All About Eve loves this versatile intricately handcrafted piece that can go with a variety of dresses. If you are looking for affordable luxurious jewellery then Divya Chugh is your one stop destination.